This one is bound to raise some eyebrows, I’m sure. Why in the world would I commemorate the 21st Day Until Pitchers And Catchers Report with someone who appeared in merely 91 ballgames as a Met, and most of it as a pinch-hitter? All I can say in my defense is, you had to be there. Without question, Cleon Jones and Carlos Delgado are better choices for #21 honors. But my memories of Jones are fuzzy, since I was only four years old in his last full season as a Met. And my memories of Delgado are much too clear. Kevin Elster was a candidate, but there was something creepy about him that made me uncomfortable (beyond his admission to sleeping with his bat). Elliott Maddox very nearly made the headline, but how could I honor someone who sued my beloved / behated Shea Stadium? Gerald “Ice” Williams also nearly made it, but it turned out that he was, in fact, Gerald “Ice” Williams. So the choice was Rajsich — not for what he was, but for what he was supposed to be. If you weren’t around in the early 1980s, it’s hard to explain, but I’ll try. The Met stunk back then, and their farm system turned out nothing to that point (it wasn’t dissimilar to what we’ve experience in the past few years). Though the organization did produce Mookie Wilson, Wally Backman, and Hubie Brooks, they were the absolute cream of a crop that also included legendary players such as Butch Benton, Jose Moreno, John Pacella, Mike Howard, Brian Giles (the 2B, and not the Pirate/Padre), Ray Searage, Rusty Tillman, Ronn Reynolds, and too many others. The team stunk, and the handful of adequate youngsters were not enough to provide even a hint of optimism. How bleak were things in the early 80s? Consider that the left side of the infield regularly started the likes of Mike Cubbage, Phil Mankowski, Tom Veryzer, Frank Taveras, Billy Almon, Ron Gardenhire, and the aforementioned Moreno. Ouch. So when we heard about a hulking, power-hitting 1B/OF named Gary Rajsich sending rockets over the fence in Tidewater, our hearts raced. To give you an idea of who was Gary Rajsich, think Chris Carter, but with more power, legit basestealing speed, and the ability to play the field. Somehow, the Mets managed to hoodwink the Houston Astros into giving away Rajsich for a non-prospect, after he posted a .321 AVG, .435 OBP, 1.1010 OPS, 21 HR, 14 triples, and 12 SB at AAA Tuscson. He followed up that unbelievable season by hitting 24 homeruns in 74 games and 253 at-bats (!) for AAA Tidewater — that’s one homer for every 10.5 ABs, or, Mark McGwire on steroids frequency. I can’t remember why he played in only 74 games, nor can I find the reason on the interwebs, but I do remember him being injury-prone, so I imagine Rajsich was felled by some sort of physical malady (there’s an ankle or wrist issue sticking in my head — if you can remember what his issue was, please post in the comments). As it was, his impressive ’81 numbers earned him a shot on the big club in 1982. He appeared in 82 games, got 182 ABs, and hit .259 with 3 HR in a pinch-hitting role, while also getting a handful of starts in the OF and a few at 1B. Again, I ask that you reference Chris Carter for comparison. Rajsich returned to AAA in ’83 and walloped another 28 HR in 430 ABs — not quite as impressive as his ’81 campaign, but not bad, either. He appeared in all of 11 games for the big club in ’83 (hitting .333 with a .900 OPS) and was sold to the Cardinals the following April; he was flipped by St. Louis less than a year later in the package that brought them Jack Clark. His final, career MLB line constituted only 149 games over parts of 4 seasons with 3 different teams, hitting 3 HRs in 349 ABs. Quite a disappointment, to say the least. But in 1981 and 1982, he provided a glint of hope for Mets fans, who so badly wanted to believe “The Magic” was back. By the way, be sure to check out AmazinAvenue, who is posting a similar series, but in pictures. Also, if these slices of Mets history in uniform numbers strike your fancy, visit the Mets By The Numbers website, and/or consider buying the book that inspired this countdown. Sorry Joe, this one is not up to your usual standards. It seems like you picked Rajsich because he had potential and didn’t hand around long enough to make you mad – or appear creapy or mess up in some other way. I never saw Cleon Jones play either, but as the number 3 hitter with an average way of .300 on a world series winning Mets team, you got to go with him, even if like Babe Ruth he’s just a grainy clip from old newsreals. When I started this countdown, I really didn’t have any kind of idea on how or why I picked the players. It’s not a “best to wear #”, but rather a particular player that wore that number and resonates with me / sticks in my memory for one reason or another. Admittedly, some of those reasons are completely illogical and/or irrelevant to anyone other than myself. But, doing it this way feels comfortable and natural to me, even if it doesn’t make any sense at all to some / all of the people reading it. Which is why it’s good that this is a blog and everyone can post their own thoughts / feelings / memories about THEIR favorite player who wears the particular number of the day. I should have made that clear when I started this countdown. By those standards, I vote for Willie Mays as number 24. 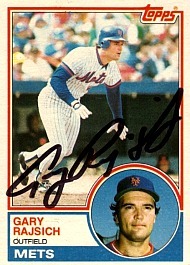 When he pinch-hit a home run to win the game against the Giants in his first at bat as a Met, that was enough for me…. Annoying… so because the 1969 World Series season is “fuzzy” to you, you’re gonna ignore Cleon Jones? How did Gil Hodges get on the list?